You can see what colorblind people see with a new iPhone app releasing this weekend. 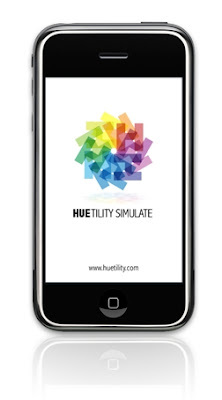 The Huetility Colorblind Simulator, the first of its kind on the iPhone, was designed to accurately model the different types of colorblindness. According to the developers, Huetility simulates the different types of colorblindness so a user can compare the different views. Error view highlighting the regions of the color image likely to cause a colorblind viewer the greatest problems. The app is intended for designers, content creators and iPhone game developers who want to check that colors they have used are colorblind friendly. I foresee application to the world of transportation as well. The most promising piece of the app, in my opinion, is the ability to take a picture with the iPhone and then see how that photo looks to a colorblind person. An engineer could take photos of traffic signals, signs, and other traffic control situations to learn how the design works for coloriblind road users. The creators of Huetility have been generous enough to given Grey Means Go readers three free iPhone downloads. So here's the deal: the first three readers to send an e-mail to brian@greymeansgo.com with "Huetility" in the subject line will receive a code to download the app for free. I'll announce the winners next week. If you don't get a free copy, Huetility is priced at $2.99 and can be downloaded HERE. I'm very interested to hear comments from readers after you download and use this software. I have high hopes that it will be beneficial as we continue the relation of colorblindness to transportation. Please check it out and post your reviews here. Looks superb! I'm excited about downloading this! Great. Send me an e-mail to get it for free (if you hurry). 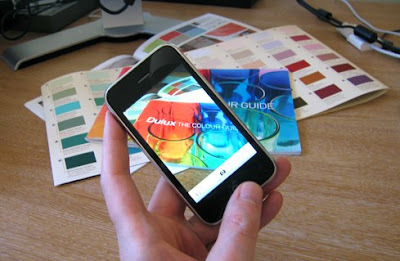 An even better iPhone app for the colour blind is the Colorblind Helper: www.zipzest.com. Unfortunately this product does not seem to be available at present.